SPEC INDIA/Blog/Why Is ASP .NET Development Services the Most Favoured Choice of Developers Today? Microsoft has always been a pioneer in offering dynamic, flexible and secure technology solutions to the globe. Always bundled with all-inclusive, compliant and integrated products, frameworks, architectures, servers, languages – all put together, Microsoft is for all. Microsoft has strived hard to offer the most modern technology support to the community one of which is, Microsoft’s cloud first, mobile first strategy, which is all about looking forward. And to top the list of Microsoft wonders comes ASP .NET Development Services. The ever-increasing popularity of ASP .NET needs no mention and thanks to its salient features and the powerful giant supporting it, it has been a developer’s delight since years, continues to rule their hearts and brains till date and will continue to do so for years together. ASP .NET Application Development is one technology that has the competence of developing and implementing any sort of complex enterprise app. Microsoft .NET unleashes the true potential of Enterprise App Development and that is why, unquestionably, it has been leading on the top as the perfect choice for software service providers. A novel framework by Microsoft, an alternative technology to the traditional style of app development and more flexible – ASP .NET MVC has been ruling the top charts for its scalability, performance, simplicity, structure, quicker rendering, testability and it goes on. High-end enterprise apps, instinctual user experience, rich and well known community,thanks to ASP .NET Development, Enterprise App Development couldn’t have been superior. 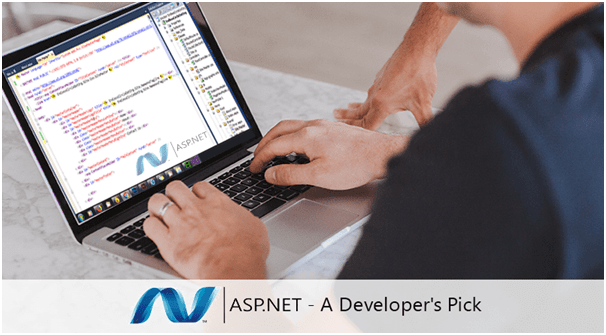 As a lightweight and testable framework, ASP .NET MVC has now unified MVC, Web API and Web Pages in its Core version and this gives the entire web application development, a completely new perspective when we see the entire picture as a whole. 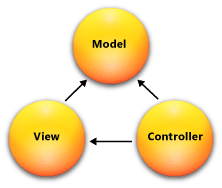 As the name suggests, the MVC framework, very easily segregates the Business layer, Presentation layer, and the data layer, working out things much simple for the enterprise web developers. The best part is that MVC lets the developers and testers work in sync, by facilitating the testing of the project during the development phase, ensuring timely delivery and good quality and that too, component specific. Providing a much higher availability over the most modern changes for the User Interface, MVC offers a high-end control on the rendered HTML resulting in faster and efficient modifications in the front end rudiments. See your own code yourself, what more do we want! The very benefit of open source technology is embedded into ASP .NET MVC. In case you want to view your code, you can do that and create your own ViewEngine also. It endows you to preserve modularity through the entire environment and thereby abridge the coding part. 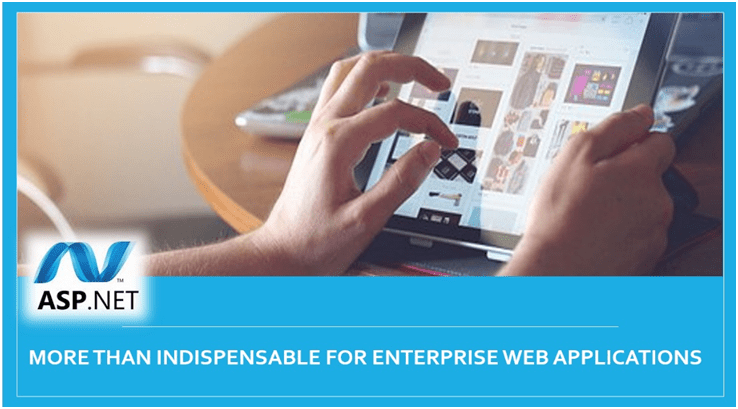 You can append more libraries and framework components based on your requirements. 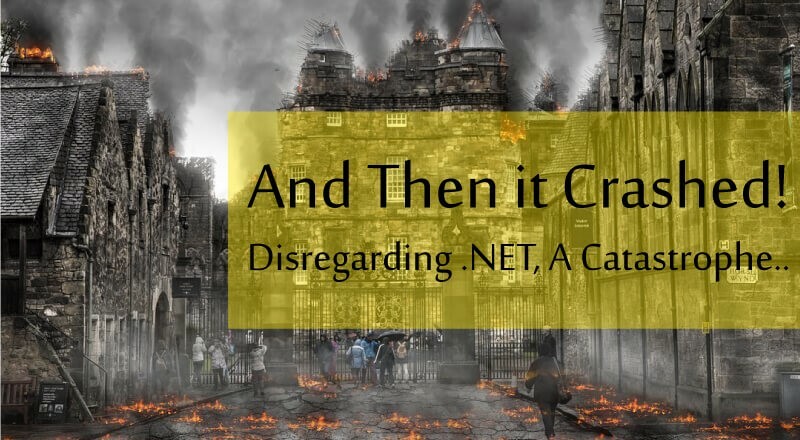 .NET developers now have the leverage to independently operate on various platforms, not having to worry about the execution of the same on multiple platforms. Once the application is developed, it can be compatible with any kind of platform. Owing to the way the entire architecture of this technology is designed, its modular angle supports the cloud deployment model all the more with its flexible structure and hence the applications developed with this technology are always ready to put on the cloud. .NET software development has been a sure shot booster to maximize ROI.As an ASP .NET development company, remaining at par with the state-of-the-art technologies has always been a challenge, along with having happy and satisfied clients, best of projects on hand with timely deliveries and contented developers/testers working on it. 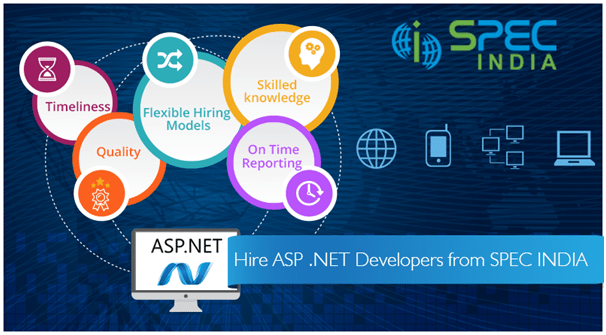 The most practical way to attain this would be to hire ASP .NET developers to develop the most modern applications, depending upon the needs, specifications, budget, location etc. As an ASP.Net development company, our widespread portfolio speaks of umpteen years of proficiency in managing comprehensive ASP .NET DevelopmentServices. Since we have been developing and implementing a variety of offshore .NET projects with a highly cost-effective model, we can assertively assure you to rely on our experience to take up your projects impeccably and productively. We have sleek policies imbibed by our developers to maintain and report daily status and updates on a habitual basis. Because of proficient resources, domain knowledge, enhanced proficiency, regimented project management and widespread in the global market, SPEC INDIA is one of the primary preferred Hiring Service Provider in India. It has its quality clientele spread out around the globe, amongst a multitude of domains like FMCG companies, Sales and Distribution companies, Health and wellness and many more. Visit us at https://www.spec-india.com/services/dotnet-application-development/ for a free POC to test drive our services.